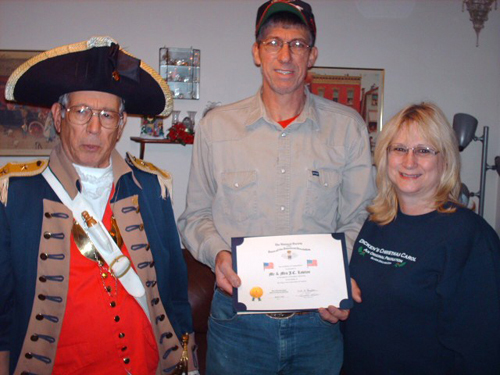 Pictured here is a Flag Certificate Award being presented on December 16, 2010 to John and Janice Lawton of Blue Springs, MO. Major General Robert L. Grover, MOSSAR Color Guard Commander is shown here conducting a Flag Certificate Award presentation. Harry S. Truman Chapter member Dale Edwards also participated in the presentation. · A flag is displayed only during daylight in good weather. It is taken down when it gets dark or if it starts to rain or snow. A flag may be displayed at night in good weather if it is lighted. · When displayed on a wall, the flag's canton should be on the left as you view it. Left Photo (L-R): Major General Robert L. Grover, MOSSAR Color Guard Commander, John and Janice Lawton. 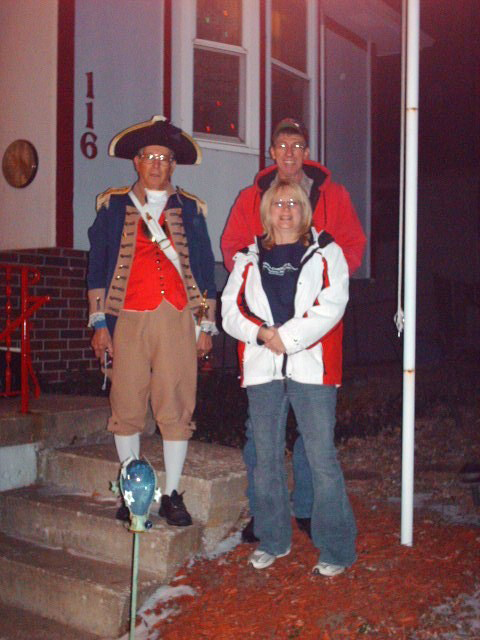 Center Photo (L-R): Major General Robert L. Grover, MOSSAR Color Guard Commander, John and Janice Lawton. 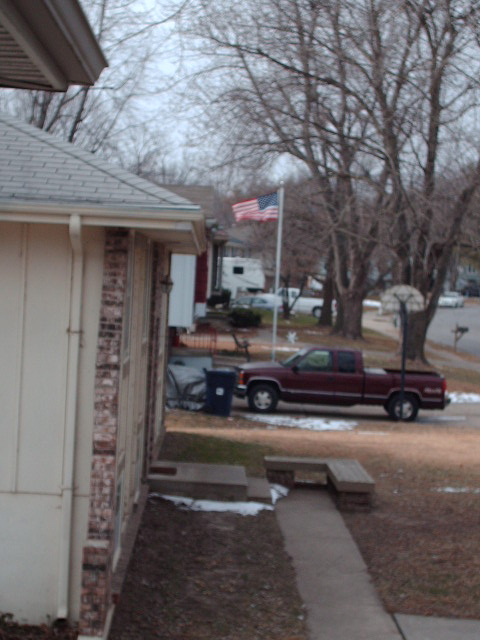 Right Photo (L-R): U.S Flag flying proudly at John and Janice Lawton's residence.